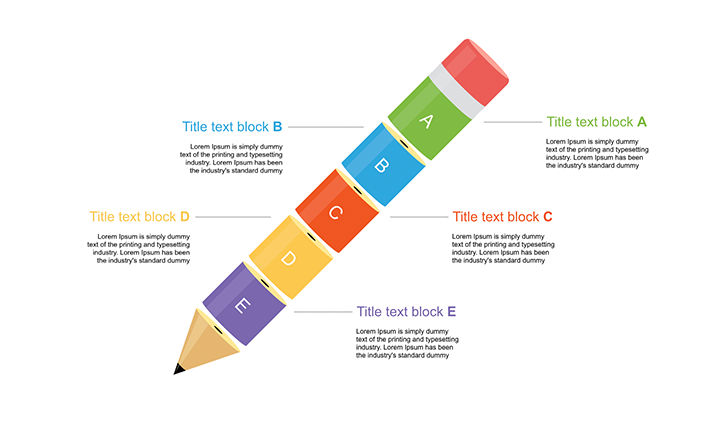 5 Levels 3d Pencil for PPT PowerPoint - Free Download Now! What is the slide with 5 levels 3d pencil for ppt for? 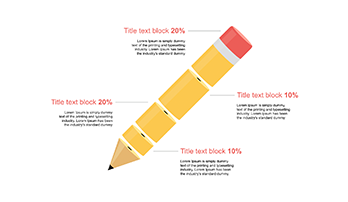 This page is devoted to an infographic element. On the sample, there is a 5 levels 3d pencil for ppt. The levels are multicolored and have an alphabetic enumeration. Text blocks are provided for every level. 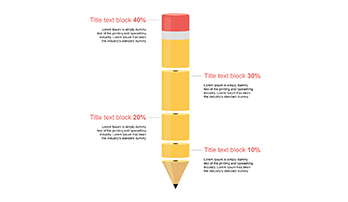 Such an infographic element can be successfully used for blogs and websites. Site visitors are usually lazy people, and they will find it difficult to read lots of text. It will be much more pleasant for them to get acquainted with the meaning of the written article with the help of infographics. Convenience for visitors and users. Convenience creates sympathy, they want to share your website with others. This is a convenient way of submitting information, so it is often distributed in social networks and forums. Therefore, if a link to the site is mentioned on such pictures, then its name will also be distributed. Do not regard the publication of infographics on another site as plagiarism. This is a normal and even useful phenomenon. Infographics is a good way to advertise. If you specify the brand name on the created picture, then everyone quickly learns about it. High quality. Working with our slides including this one you’ll forget about problems with templates’ quality. We provide high-quality professional elements for your convenient work. Therefore, absolutely all our templates will be free of visible defects when they are displayed on different screens with any resolutions. Moreover, such unique elements will create a good impression and prove your skills. Free download. It is available for free. You can download such free infographics in a few clicks and simplify your work. Built-in tools. This template with the pencil is well-equipped with all necessary tools that allow editing of all vector elements. Multipurpose element. Due to the structure and design of the slide, you can add such element to any project. This pencil can be found both in marketing or business presentations. Easy-to-use ready-made slide. 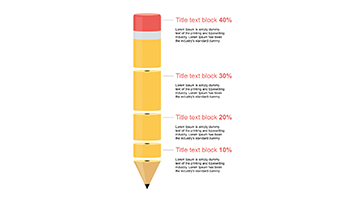 This 5 levels 3d pencil for ppt is necessary for those who are tired of monotonous boring work and want to diversify their presentations. Besides, you’ll spend less time for such responsibilities as presentations creation. The users with different levels of computer skills will be able to manage the template.